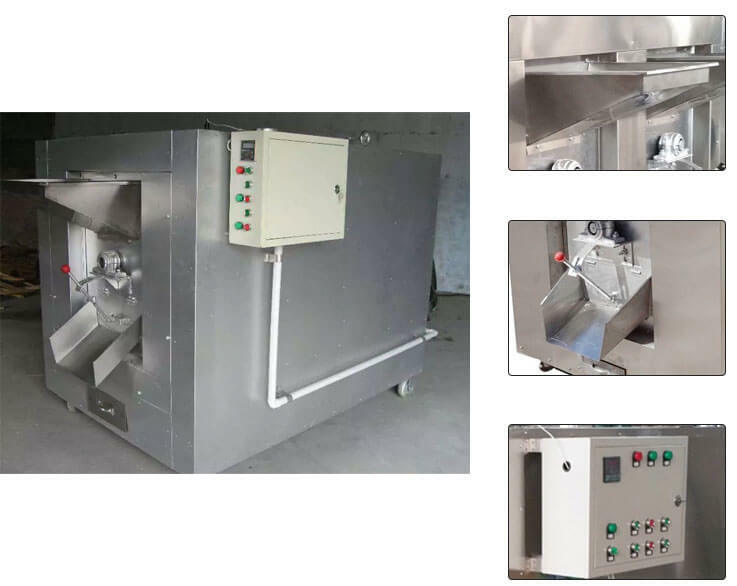 This kind of roasting machine is ideal equipment for roasting various kinds of nuts like peanuts, walnuts, chestnuts, etc as well as drying fruits. Highlights of this roasting machine are even heating result and high efficiency. The roasted nut has good flavor and appearance. 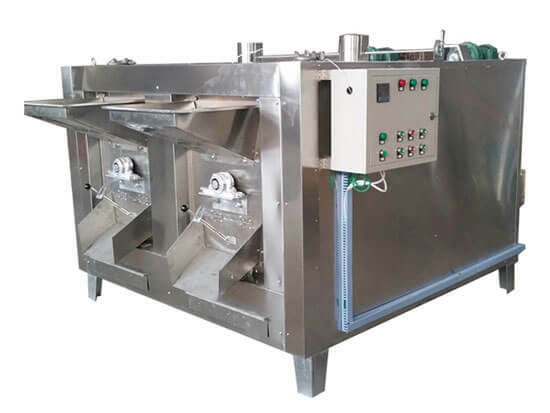 The roasting machine is composed of the transmission device, electric control panel, electric heating tube, roller box, and rotary drum. Ideal roasting equipment for commercial household use. 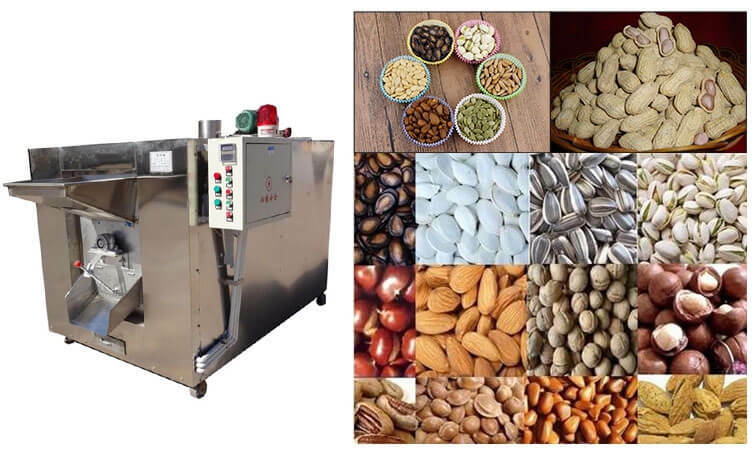 ☆ Suitable for all kinds of nuts roasting and fruits drying, such as chestnuts, peanuts, sunflower seeds, pine nut, almond, coconut, data, sesame, hazelnut, walnut, soybeans, etc. ☆ Your good fortune maker in the shopping mall, supermarket, street vending business, etc. 2. Equipped with the digital display equipment to set the working time and adjust the temperature. 3. The rotary drum ensures uniform heat, avoiding burning the product. 4. Fault indicating system to inform you any wrong operations. 5. Can be driven by electricity or gas. 6. Low energy consumption and environment-friendly. 2. Place the peanuts into your mixing bowl. 3. Place the butter and honey into the small bowl and heat it in the microwave. Mix them tighter and pour over the peanuts. 4. Spread the peanuts onto a cookie sheet and place in the oven for 5 to 10 minutes. Stir them every 1 to 2 minutes until they are golden-brown. 5. Let them cool for 5 to 10 minutes before eating.